The West Side Garden Summer co-op continues to thrive each fall just in time to produce a bountiful selection of vegetables and herbs to make homemade spaghetti sauce for students at West Side. 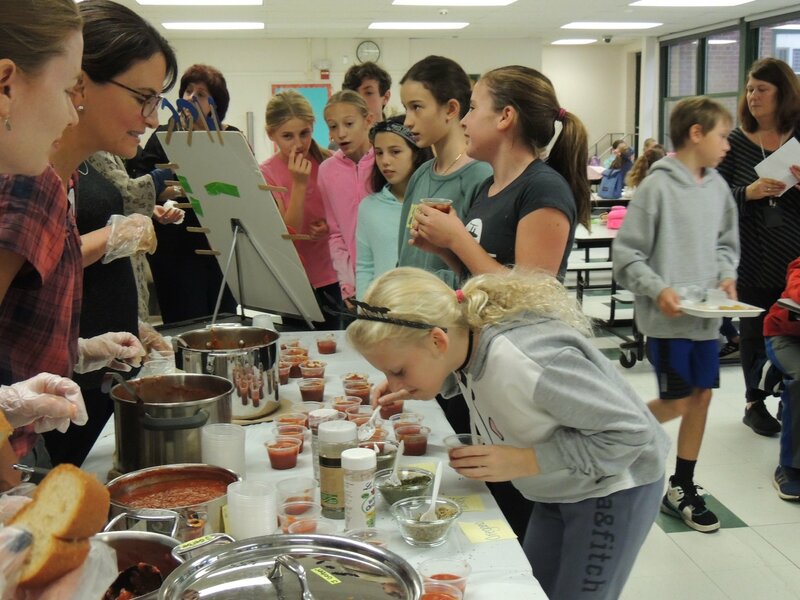 Parents sauté pots filled these tomatoes and herbs making sauce for the students to dip with bread and sprinkle with herbs while learning about their garden! The students take tremendous pride in knowing they grew these vegetables at their school, where parent volunteers harvest and care for the garden all summer long and enjoy the crops which even included cantaloupe this year! The line for second helpings seem to never end… Yum!